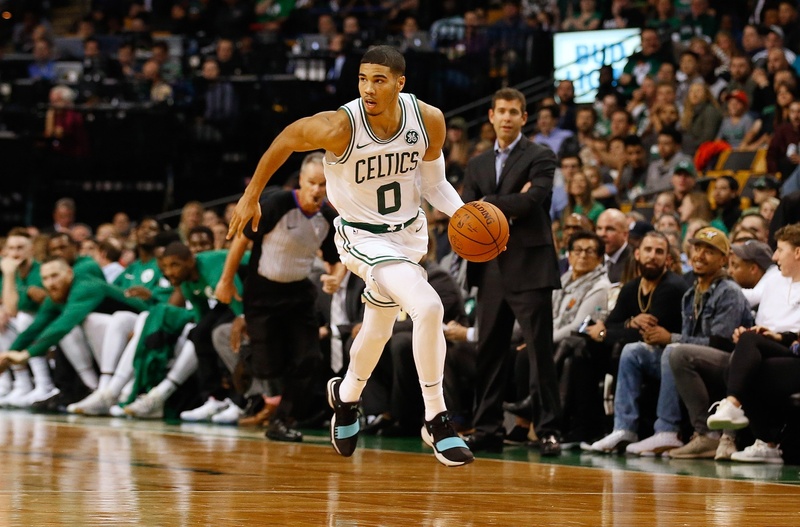 Prior to yesterday's first round contest versus the Milwaukee Bucks, I wrote about the Jay-Team (Jayson Tatum and Jaylen Brown) facing the test in this series. Particularly Jayson, being a rookie, the question would be how would he respond to the pressure of playoff basketball. The answer to that question is, very nicely, thank you. Jayson played 44 minutes of the overtime thriller, ending in a 113-107 Celtics victory. Tatum looked as poised and confident as he has during the regular season. He made shots of every possible description, and he made it look easy. He scored a double-double with 19 points, 10 rebounds, four assists, three steals and one block. What really got my attention was Jayson's aggressiveness on the boards. It was not simply the fact that he hauled down 10 boards. It was the fact that he really wanted them - fought for them - and made sure no opponent would take them from him. He was relaxed on his shots and intense on grabbing and controlling rebounds. The @celtics Jayson Tatum is the second-youngest player in NBA history to record a double-double in a playoff game (20 years, 43 days). The youngest was Carmelo Anthony on Apr. 24, 2004 (19 years, 331 days). Gone unnoticed in this game was the play of second-year man, and Jay-Team member, Jaylen Brown. Jaylen played big minutes (45), scored 20 points, grabbed four rebounds, passed off for four assists and had a plus/minus of +18 for the game. So both Jay-Team members faced the test and passed with high grades. The road ahead won't be any easier for the Celtics, but if these two budding stars can maintain this level of play, the near (and far) future look bright.